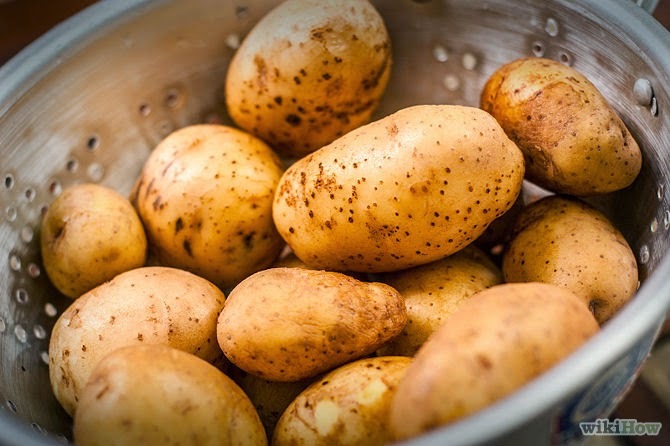 Strategic Sourcing: Why Won't My Wife Use a Potato Peeler? “Oh… have we? I hadn’t really noticed it”. "Really?" I said, proudly brandishing the glistening stainless steel potato peeling utensil. "I bought it a few weeks ago. It makes life so much easier; peels in half the time, safer and wastes less". "I don't get on with those things. I've always used a knife and that works for me." she replied, for some reason not appreciating my helpful advice. "Why don't you just try it?" I persisted, "You'll get used to it". "They're fiddly and a pain to use" she replied "...now get out of the kitchen please" she added (harshly). ...Lets just say her response was neither polite nor positive. So... there I was, I'd invested good money in a new tool specifically designed to do an important task, that if used properly, would've saved time and improved efficiency; yet it lay under-used and unappreciated and the old way or working prevailed... Replace the potato peeler with a business tool and does it start to sound familiar? · Firstly, I'd bought it and put in the kitchen drawer one day... she wasn't Aware that it was there, or that it would've saved money and reduce waste etc. · Secondly, she had no Desire to use it. The benefits to her of the peeler were not obvious. · I remembered how she said that she'd never got on with them so it suggests that there was some sort of Knowledge gap that maybe could've been addressed better. · Despite my best intentions in buying the peeler, I hadn't quite got round to using it yet and so I couldn't demonstrate it's ability to reduce waste and save time. · Lastly, as I hadn't quite got round to using it myself, My wife hadn't seen me use it; I hadn't Reinforced her belief in the use of the peeler. These ADKAR change management principles are a staple of my day job yet I'd overlooked them in my domestic environment... so, armed with this knowledge, I'm determined that my next impulse kitchen utensil purchase won't suffer the same fate.